Keats House Hampstead was the home of John Keats from December 1818 until he left for Rome in August 1820. Built circa 1815 and originally named Wentworth Place, the house reflected the gradual suburbanization of Hampstead village then taking place. Divided into two, like a modern semi-detached villa, it was home to Charles Wentworth Dilke and his family and, in the other half, Charles Armitage Brown. Brown had first met Keats in summer of 1817 and the two had become close friends; after the death of Tom Keats, 1 December 1818, Brown invited Keats to share his home as a lodger. It was at Wentworth Place that Keats composed his mysterious and magical lyric ‘La Belle Dame sans Merci’, finished his wonderful narrative poem The Eve of St Agnes, and wrote his great odes of spring 1819 including ‘Ode to a Nightingale’. When the Dilkes left for London, Fanny Brawne’s family moved in to become Keats’s immediate neighbours. 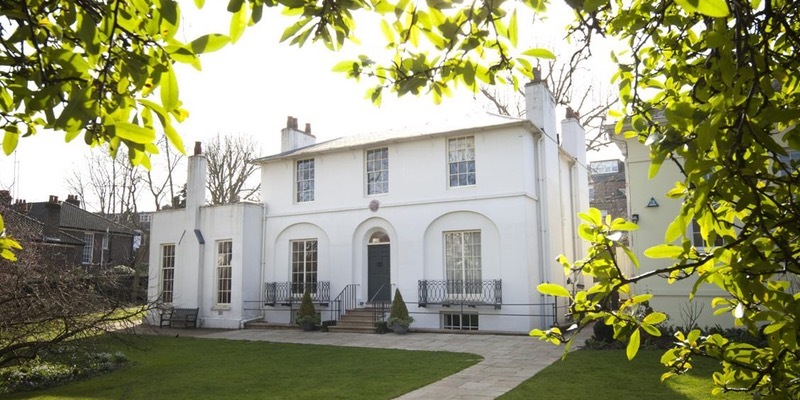 Now more than two hundred years old, Keats House has always welcomed poets. Here Keats was visited by his poet-friends John Hamilton Reynolds, Leigh Hunt, and Barry Cornwall. The painters Joseph Severn and William Hilton came too. And it was here that Keats fell in love with his ‘bright star’ Fanny Brawne.